We are honored to share that the editors of Teach & Travel Magazine have selected Walt Disney Parks & Resorts as one of the top performance venues for student artists. According to Teach & Travel Magazine: “only a few hit the highest notes…” and we are proud to be a part of them. 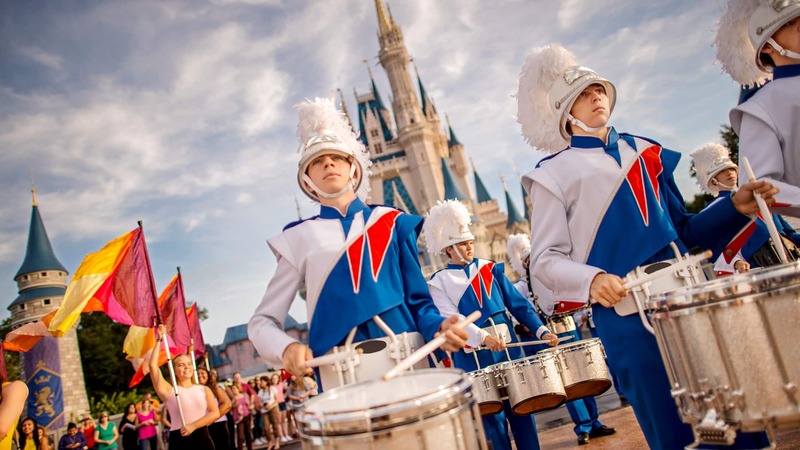 From our state-of-the-art stages to parades throughout the parks, we are happy to be among student’s bucket lists for performance venues. Feel what it’s like to be a Cast Member and take the regal stage singing or dancing in Fantasyland. On select dates in November and December, spread the spirit of the season performing in the revered Disney holiday tradition, the Candlelight Processional. Get a taste of showbiz as you dance or sing your heart out on this newly expanded, open-air stage. Wow the crowds with your performance and showcase your talents for international audiences, Disney style. There’s nothing more magical then marching down Main Street, U.S.A. with your band in a grand procession of emotion, pageantry and pride. Which venue is on your bucket list? Be sure to tell us on Facebook and LinkedIn and check out all our performance opportunities. Don’t forget to use #DisneyYouthPrograms when your students hit the stage or take the streets on both coasts!